Performance boost. TThe GeForce GTX 965M, which thus far has rarely been the graphics processor of choice for laptop manufacturers, has received a new breath of life. 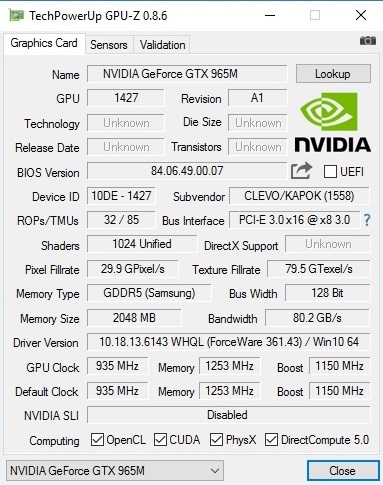 Nvidia's update has significantly increased the GPU's maximum clock rate. But how significant is the difference in performance compared to the 2015 version? Our question exactly. 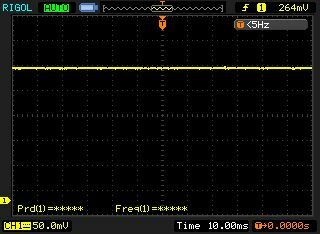 We used the MIFcom EG7 to uncover the answer. Unlike most notebook manufacturers with worldwide prominence like Acer, Asus and HP, the Barebone vendor MIFcom give the customers the option to choose the individual components that together form the inner life of their products. The company offers the 17-inch EG7 model in various basic configurations; for the most part, the buyer can customize the hardware as they see fit. While the cheaper variants are “only” equipped with a GeForce GTX 960M, the more expensive models have the powerful 2016 edition of the GTX 965M at their command. 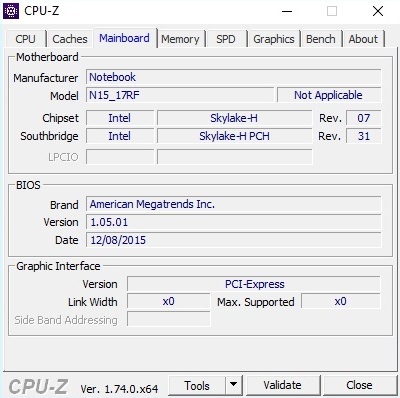 A dual or quad-core chip from Intel's Skylake generation serves as the system's processor. 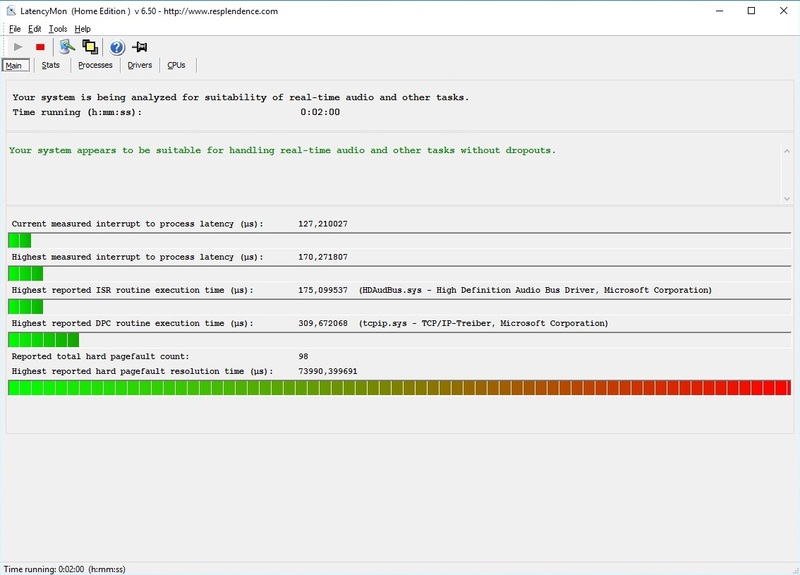 The Core i7-6700HQ at work in our test device clocks at 2.6 to 3.5 GHz under load and is the ideal companion for the computer's gaming GPU. 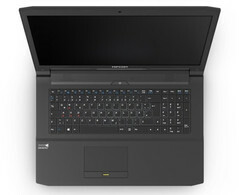 The notebook is also equipped with a maximum of 16 GB of DDR3 RAM and a DVD or Blu-ray burner. 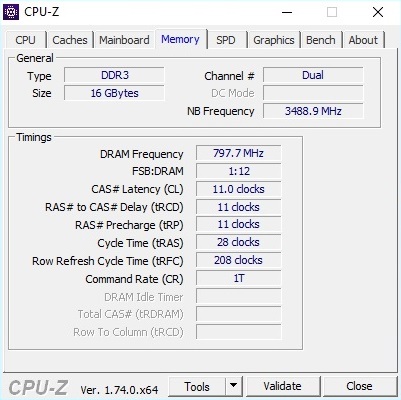 The fact that the 17-inch device does not support DDR4 RAM is not too disastrous in our opinion: the performance should hardly be impacted by this minor deficiency. A peek under the hood also reveals an M.2 slot for SATA III or PCIe SSDs and a 2.5-inch slot for conventional hard drives. Wireless network connections are established by either an Intel model (Wireless-AC 3165 or 8260) or a Qualcomm Atheros (Killer Wireless-AC 1535). The customer has no influence over the display. MIFcom integrates a matte IPS panel with a resolution of 1920x1080 pixels, which should meet most user needs. Warning: An operating system does not come as a standard and costs between 100 and 150 Euros extra (~$110 to 160). Altogether, the configuration we used for our tests costs 1600 Euros (~$1730). Depending on the manufacturer, that kind of money can often buy a laptop with the substantially faster GeForce GTX 970M GPU. The casing MIFcom has selected for their EG7, the N170RF Barebone from Clevo, is identical to its two predecessors: the N170RD (Schenker XMG A706) and the N170SD (Schenker XMG A705). As a result, we will not cover the case, connectivity or input devices in detail in this review. For more information on these subjects, see this article. The pre-installed software is also very similar to that of its Schenker colleagues. The cornerstone proves to be the so-called Control Center, which gives the user access to many convenient functions and features. One of the major highlights is the manual fan control - now offered by almost every Clevo Barebone. 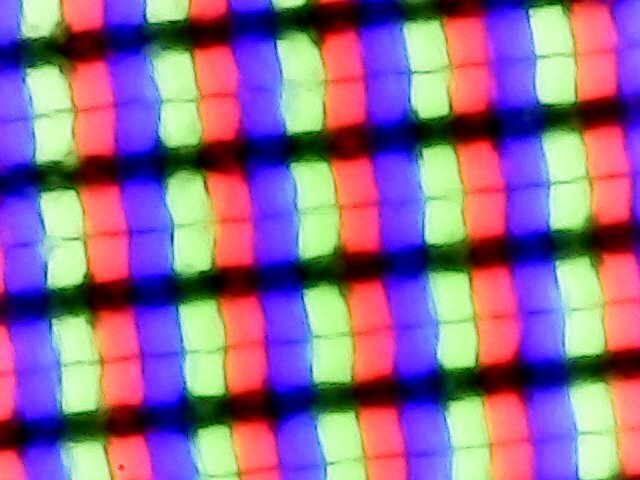 The notebook's FHD display is identical to that of its predecessor. 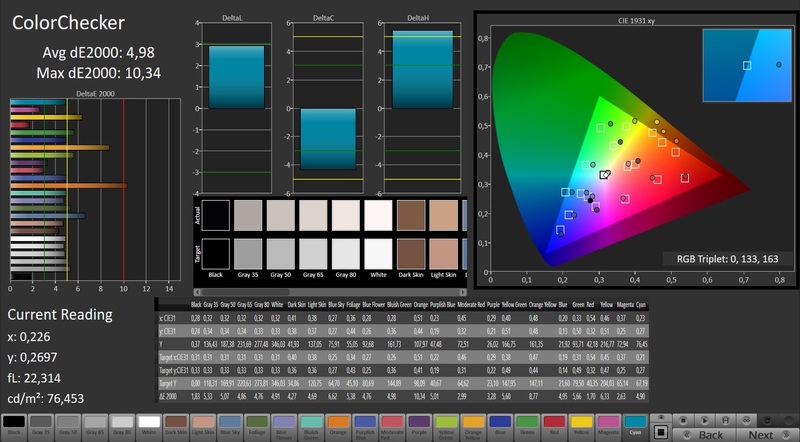 With a maximum display brightness of around 310 cd/m² and a contrast of more than 1000:1, the LG Philips LP173WF4-SPD1 is one of the best IPS panels on the market. The black value (0.3 cd/m²) and the brightness distribution (89% uniform across the screen) are good as well. We did not observe any irritating bright spots. 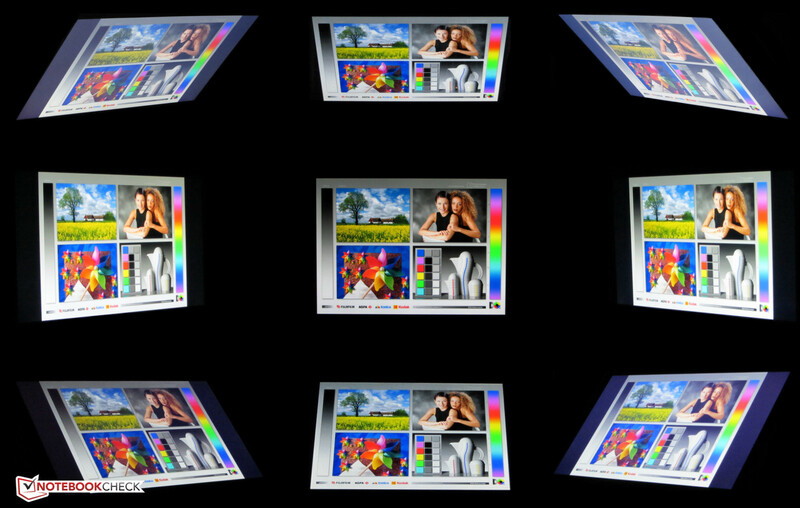 We are particularly pleased that MIFcom - unlike most manufacturers - guarantees 0 pixel errors at no cost. 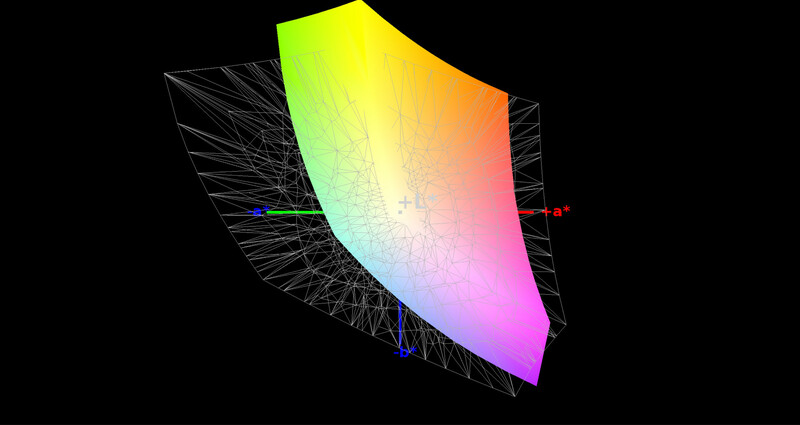 In our further tests with the CalMAN software, the 17-inch display did reasonably well. The DeltaE 2000 values (Grayscale 4.39, Color Checker 4.98) are middle-of-the-road, as are the gamma and color temperatures. 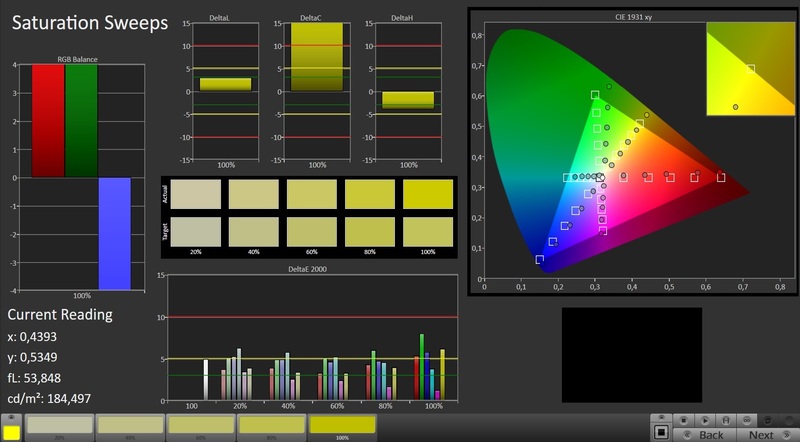 Those who like to edit photos or videos should calibrate the display. As the screenshots above show, some values improve significantly. Unfortunately, the end result still is not quite good enough for professional use. From a gaming standpoint, the color space coverage is sufficient: 83% sRGB and 55% AdobeRGB are typical for an IPS panel. Also typical for this panel type are the excellent viewing angles. 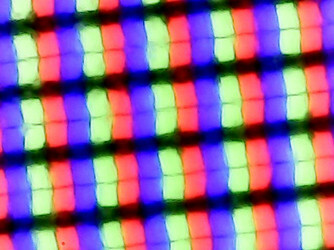 The screen content remains relatively undistorted even when the user angles the screen at a slant. Thanks to the display's ample brightness and anti-glare finish, the MIFcom EG7 is quite suitable for outdoor use. Although the graphics performance is not good enough to place the notebook within our Gaming Top 10 list, the MIFcom EG7 clearly makes the high-end laptop line-up. A quad-core processor with Hyperthreading technology and 16 GB of RAM ensure that the machine will not be obsolete anytime soon. When it comes to the storage device, once again, the manufacturer proves to know what they are doing. The test device is equipped with a combination of a 250 GB SSD and a 1000 GB HDD. 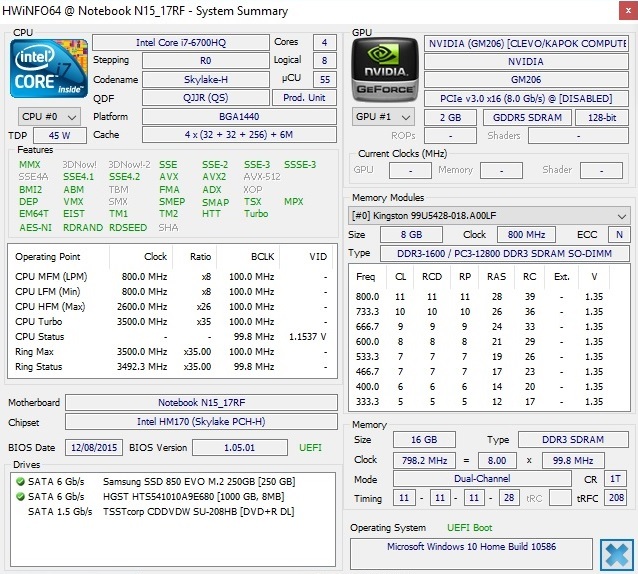 In the gaming sphere, Intel's Core i7-6700HQ is easily the most popular notebook CPU. No wonder, as the quad-core model offers very good performance alongside reasonable energy consumption. In terms of clock rates, the 17-inch device leaves us with mixed feelings. 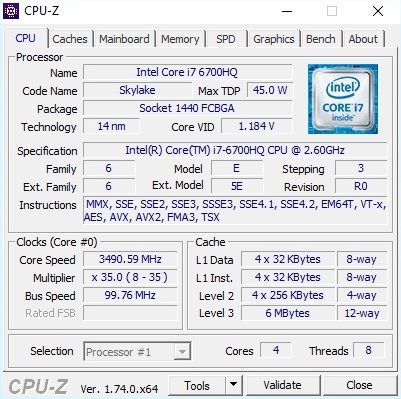 As long as only the processor is under load, the i7-6700HQ climbs to its maximum speed of 3.1 GHz (multi-core scenarios) to 3.5 GHz (single-core scenarios). 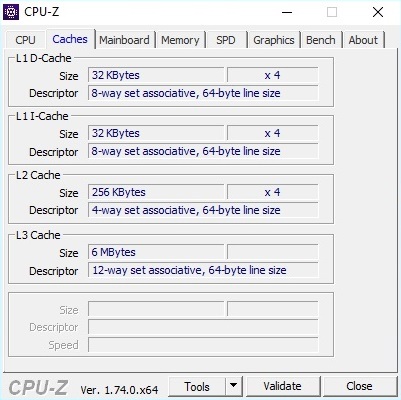 But when the GPU is also under load, the turbo boost function is deactivated, leaving the CPU at the base clock frequency of 2.6 GHz in 3D applications. 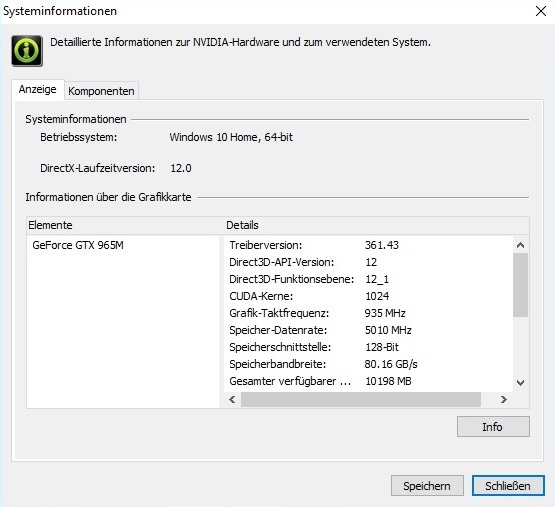 Since most games are limited by the GPU and the GeForce GTX 965M often proves to be the limiting factor, the lack of CPU turbo is hardly noticeable in practice. At least on paper, only at low to medium resolutions and/or settings does our laptop lag slightly behind notebooks with active overclocking. 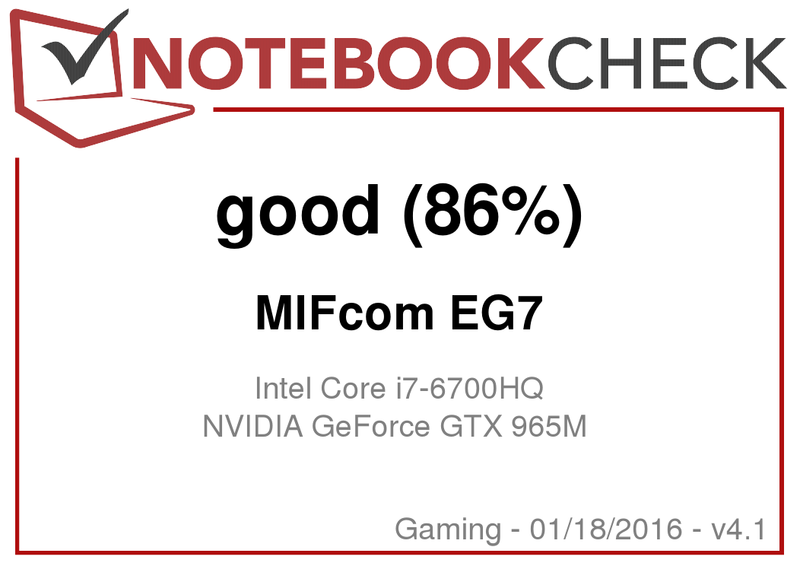 In the CPU benchmarks, the MIFcom EG7 looks its very best. 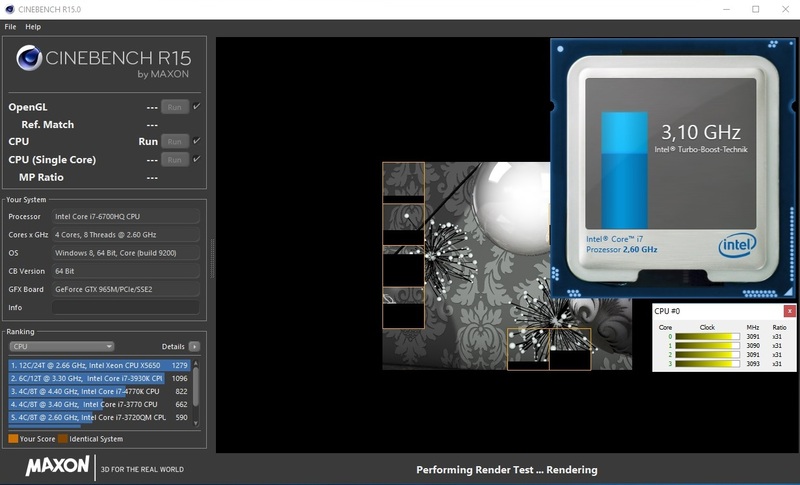 Both Cinebench R11.5 and Cinebench R15 record a fantastic performance, similar to that of other notebooks with a Core i7-6700HQ (ex. the Asus G752VT). Older laptops based on the Core i7-4720HQ processor, which is now two generations past, come in 6 to 8% behind on average. Even the expensive Core i7-6820HK cannot always get ahead. 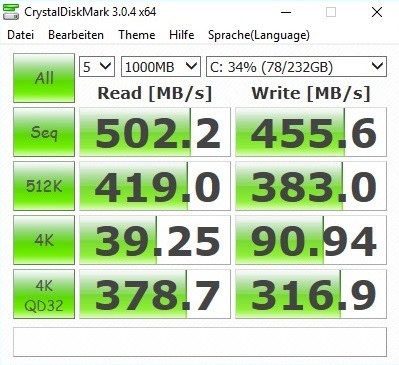 Since our test configuration has to make do with a SATA III SSD, its results in the system benchmarks are somewhat lower than those of competitors with PCIe or NVM SSDs. 5974 points in PCMark 7 are reminiscent of the total score of the similarly equipped Schenker XMG A706. Subjectively, Windows 10 seems to run very smoothly and reacts to input quickly. 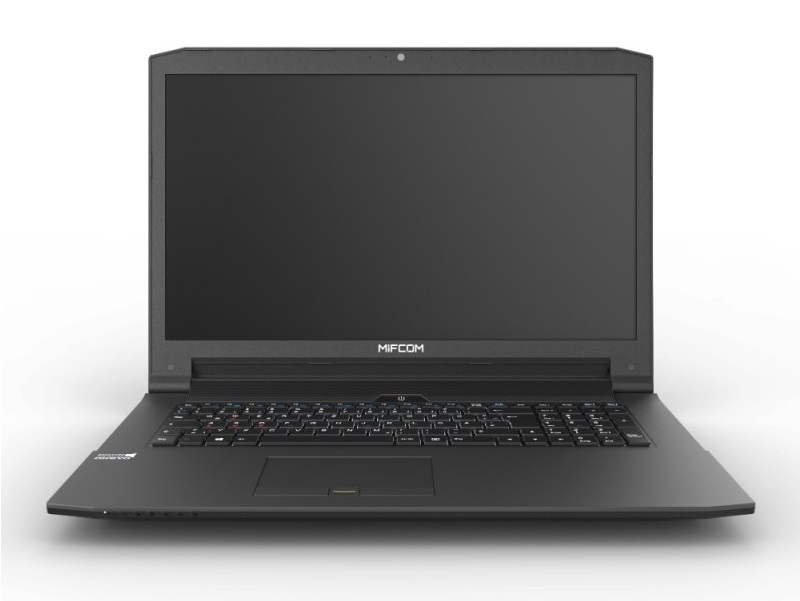 MIFcom has equipped our basic model with a generous 250 GB Samsung M.2 SSD and a 1000 GB 2.5-inch HDD from HGST. 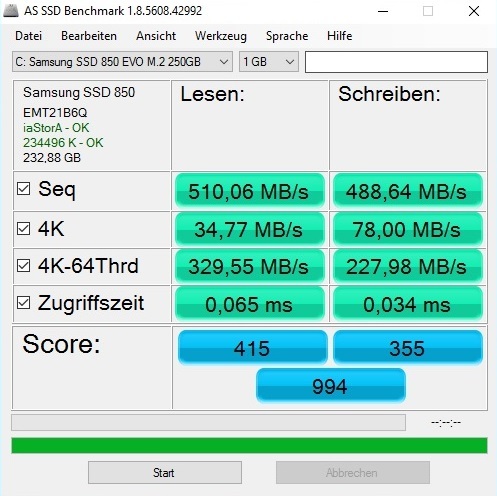 The AS SSD benchmark confirms that the Samsung 850 EVO performs well and is only impeded by the SATA III limit in the sequential portion of the test (maximum 500 to 550 MB/s). 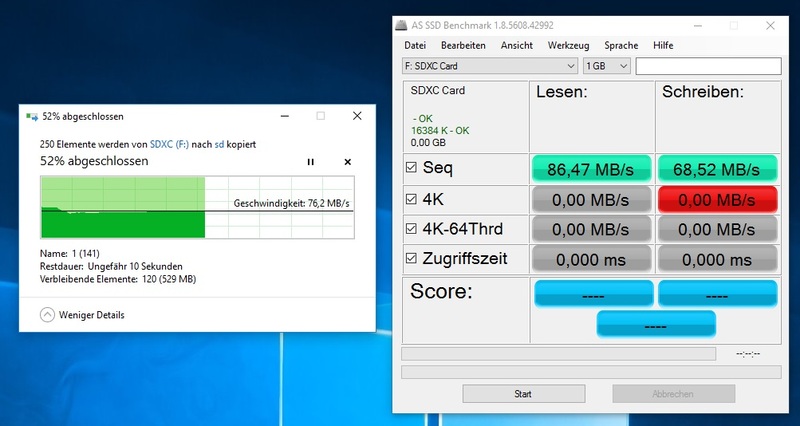 In ideal cases, solid-state drives with PCIe or NVMe technology reach over 1000 or even 2000 MB/s - though this only becomes apparent when transferring large quantities of data. For most gamers, a classic SATA III model should certainly be sufficient. When it comes to the secondary hard drive, we recommend an upgrade. 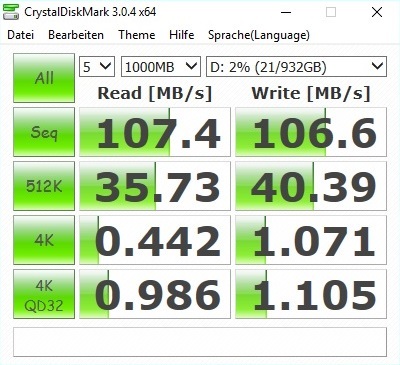 Due to the drive's relatively low rotational speed (5400 rpm), despite its acceptable benchmark scores, the HGST Travelstar 5K1000 is at times considerably slower than an HDD with 7200 rpm when loading games and game statuses. At a first glance, the newly upgraded GeForce GTX 965M has hardly changed at all. The 2016 edition still offers 1024 Shader units and 2048 MB of GDDR5 memory, which effectively clocks at 5000 MHz and is connected via a 128-bit bus. 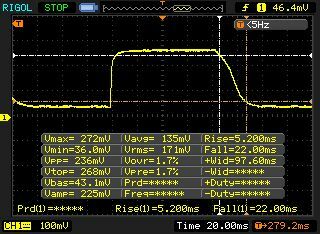 The most important difference is the higher clock rates. 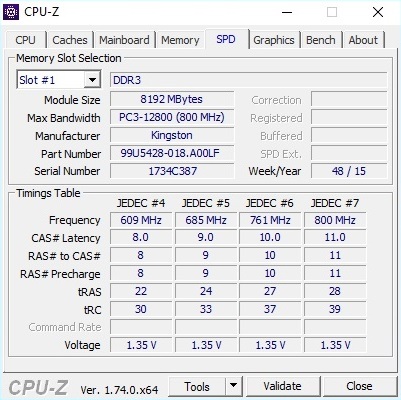 Instead of 950 MHz, Nvidia has designed the new model to run at up to 1150 MHz, which equates to a 21% increase (base clock frequency: 935 vs. 924 MHz). 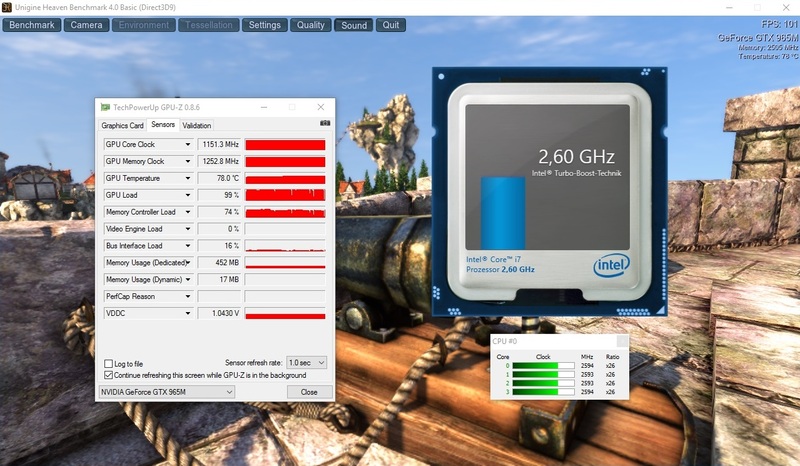 In the case MIFcom EG7, the GPU turbo is maintained in most 3D applications; only in the stress test with FurMark and Prime95 running simultaneously did the core speed sink to around 950 MHz. Much to our delight, the GPU never throttled. In terms of performance, we can say that the GeForce GTX 965M deserves high marks. With a GPU score of 5973 points in 3DMark 13's Fire Strike test, the high-end model sprints past the GeForce GTX 960M by a margin of almost 40% (4353 points; Schenker XMG A706) and past the old GTX 965M by a margin of more than 10% (5380 points; Medion Erazer X7615). Our test model comes in about 20% behind the GTX 970M (7546 points; Asus G752VT). The MIFcom EG7 does not stand a chance against the top Nvidia models. The GTX 980 performs more than 60% faster, and the GTX 980M beats our GPU by over 120%. In order to save energy in idle mode and under low levels of load (office, video, web, etc. ), the 17-inch device uses Nvidia's Optimus technology - an innovation that dynamically switches between the integrated and the dedicated graphics processors. MIFcom has installed the most current graphics driver on our test device (361.43), which in our experience fails to prevent bluescreens. Speaking purely of performance - with the exception of the “Assassin's Creed Syndicate” at maximum settings we did not get any unpleasant surprises. As expected, the GTX 965M settles in about halfway between the GTX 970M and the GTX 960M - an improvement over the old version, which strongly tended towards the GTX 960M range. Disregarding 4K resolution, the MIFcom EG7 is powerful enough to render games smoothly at high settings. 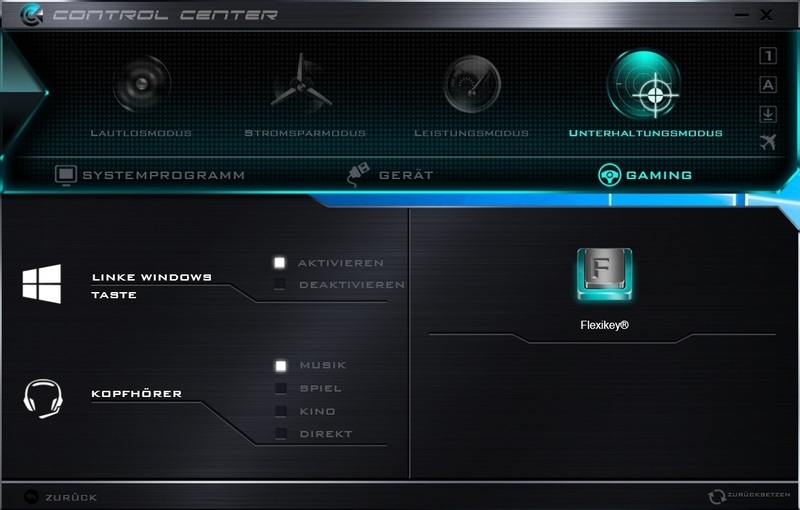 It takes maximum details and multisample anti-aliasing to break the GeForce 965M into a sweat. Consequently: Anyone unwilling to make compromises and/or run games on a 4K display should purchase at a minimum, a GeForce GTX 970M. But for gamers who demand less of their system and have a more limited budget, the GTX 965M is ideal. 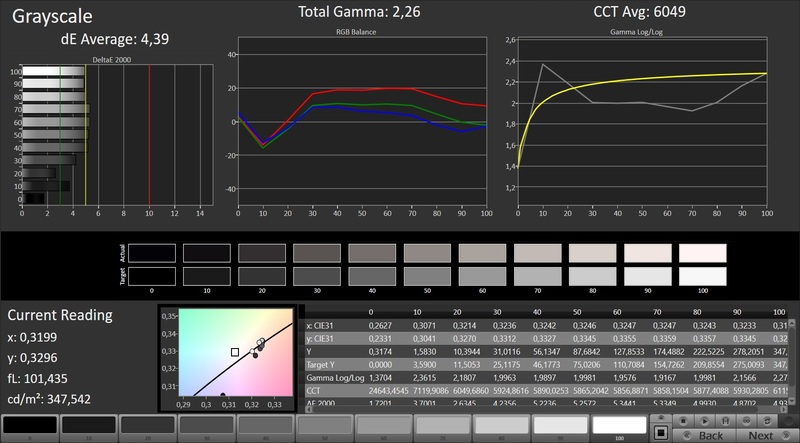 More information on the new high-end chip is available in our GPU test. Compared to the predecessor Barebone N170RD, the EG7's noise level is only higher in certain situations. 36 to 41 dB(A) in 3DMark 06 and a maximum of 43 dB(A) under full load are very low sound pressure levels for a high-end notebook. One of the GTX 965M's competitors, the Medion Erazer X7615 reached up to 54 dB(A) in the stress test - a considerably higher decibel count. Headphones are not necessary in the case of the MIFcom EG7; gaming sounds are only drowned out during quieter scenes. When the notebook has nothing to do, the fans are completely deactivated and the only audible sound is the reasonably quiet whir of the hard drive (32 to 33 dB(A)). 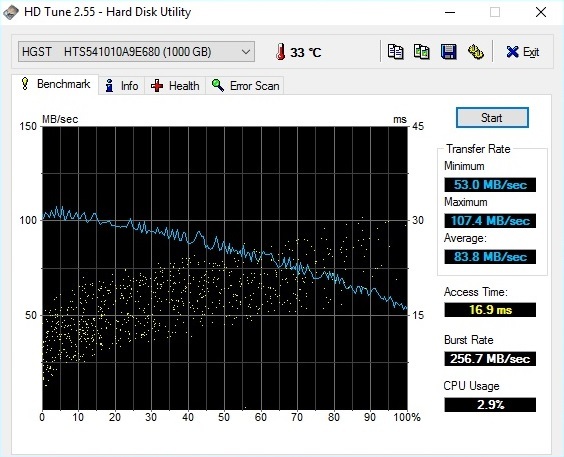 Unfortunately, when the HDD is working hard, it generates a rattling noise that could irritate some users. On the positive side, the rotational speed is constant. In our test of the N170RD Barebone, the fans often turned on unnecessarily. The computer's temperatures are also reasonable. 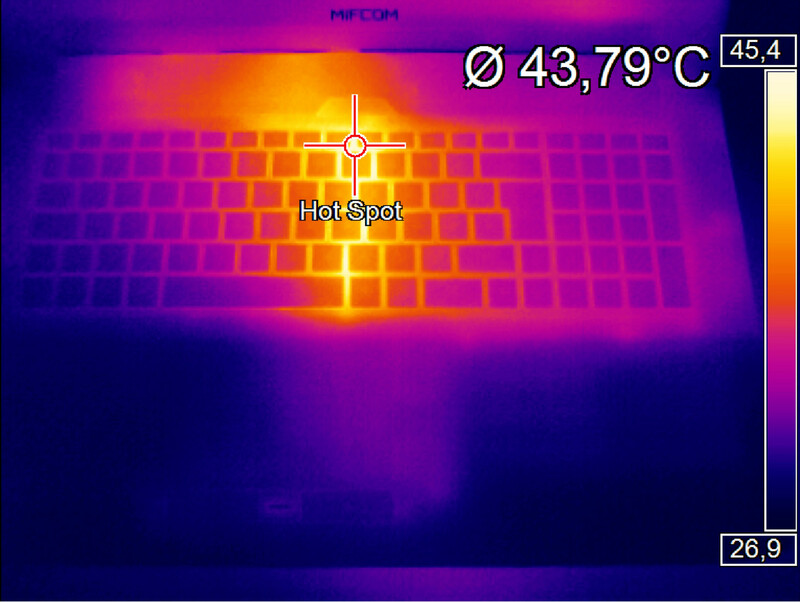 The case did cross the 50 °C (122 °F) mark under full load in some spots, but the WASD area and the palm rest never grew uncomfortably warm. In idle mode, there is hardly anything to complain about. 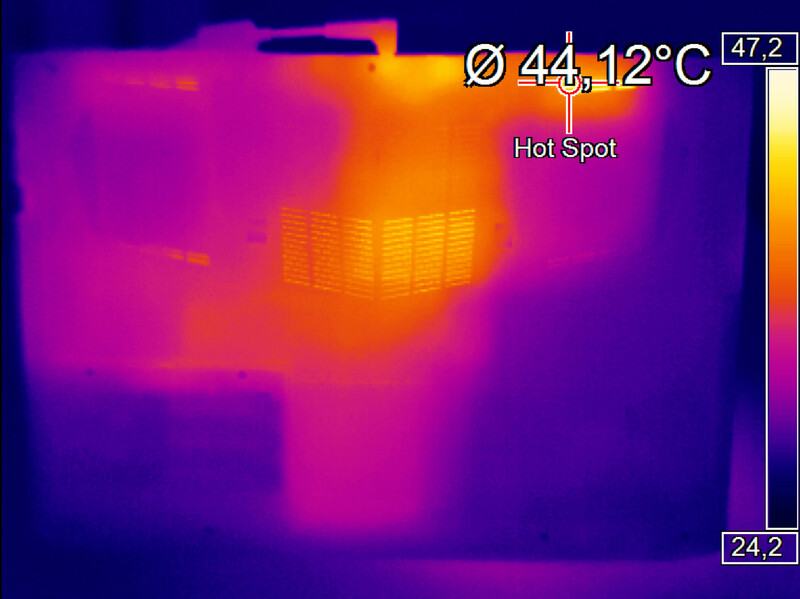 After two hours without load, at around 32 °C (~89.6 °F; top) and 34 °C (~93.2 °F; bottom), the case surface temperatures remain comfortable. Let us take a look at the components that tend to reach much higher temperatures. 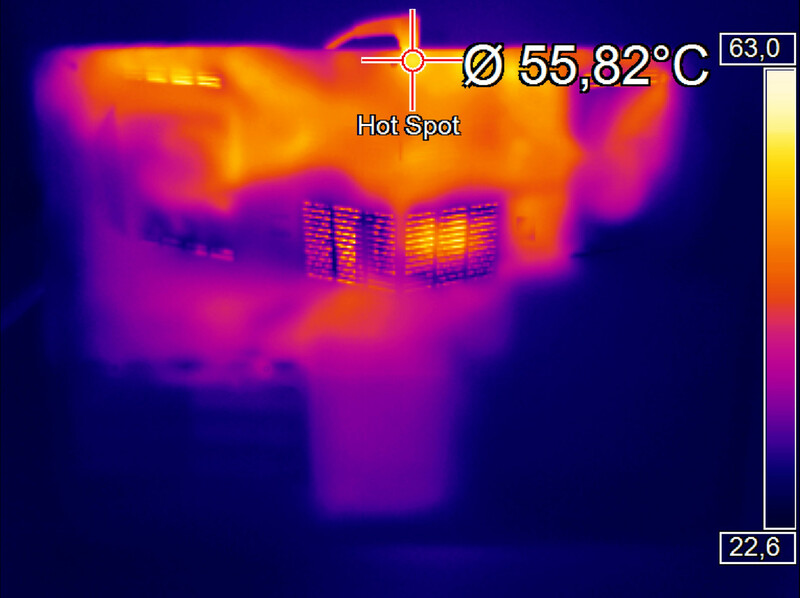 While the GeForce GTX 965M heated to up to 93 °C (~199.4 °F), the Core i7 6700HQ only hit a maximum of 86 °C (~186.8 °F). However, the CPU clock rate temporarily dropped from 2.6 GHz to 800 MHz. (-) The average temperature for the upper side under maximal load is 41.5 °C / 107 F, compared to the average of 32.9 °C / 91 F for the devices in the class Gaming. (-) The maximum temperature on the upper side is 56.2 °C / 133 F, compared to the average of 39.3 °C / 103 F, ranging from 21.6 to 68.8 °C for the class Gaming. For information about the EG7's speakers, see our review of the Schenker XMG A705. At 11 to 24 watts in idle mode, the amount of energy the 17-inch device uses is similar to that of the Medion Erazer X7615, which is equipped with the old GTX 965M. Under load, the MIFcom EG7 proves to be quite frugal. 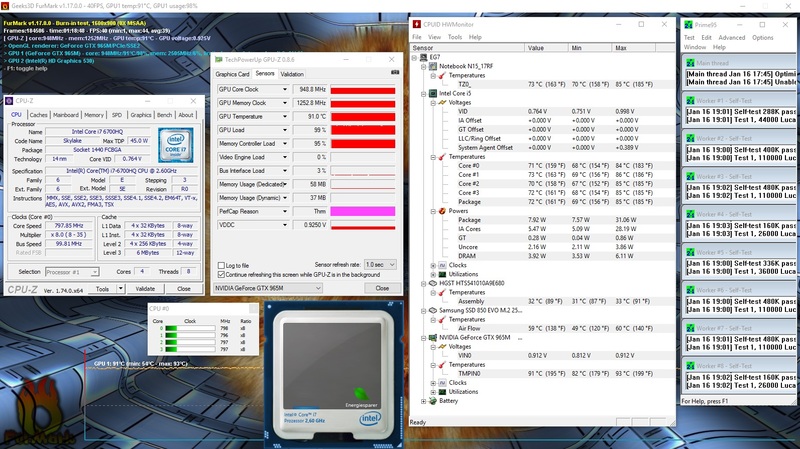 A power draw of an average of 77 watts in the first scene of 3DMark 06 is lower than that of the Schenker XMG A706, even though the latter runs more than 20% slower. The computer reaches 155 watts under full load, which means that the Barebone producer has designed the power supply to be just barely large enough. In our opinion, a device with a GTX 965M should be provided with 150 rather than 120 watts. Despite the battery's moderate size (62 Wh), the notebook's run times are quite good. The EG7 held out just over 7.5 hours in the Battery Eater Reader's Test (minimum brightness). In the Classic Test, which simulates a higher level of load, at maximum display brightness the battery still lasted two hours. Viewers can enjoy HD videos at reduced brightness for about 4.5 hours. In review: MIFcom EG7. Test device courtesy of MIFcom. 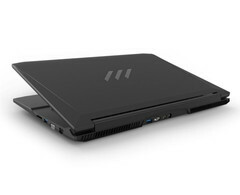 With the EG7, MIFcom has designed a solid gaming notebook that, with the exception of the inactive CPU turbo under 3D load, does most things right. 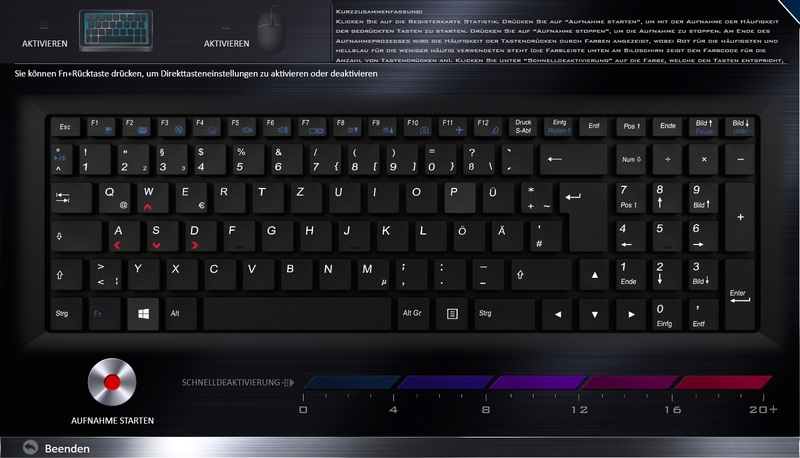 The input devices, connectivity options, display and cooling system are well-designed. 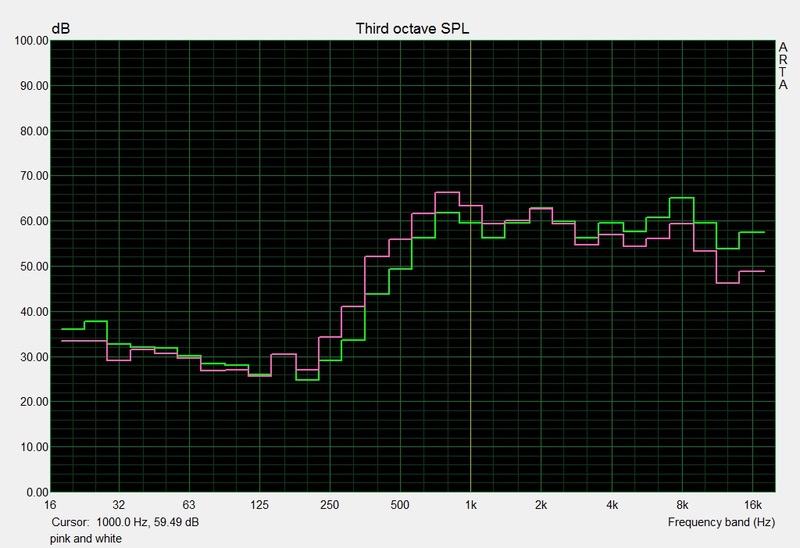 The manufacturer could improve the relatively mediocre sound quality. 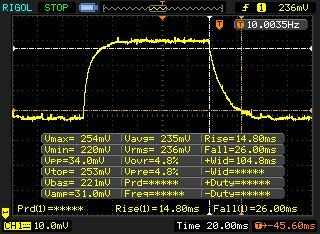 The power supply could also provide more power. 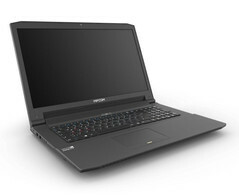 Otherwise, the 17-inch notebook proves to offer strong performance and only moderate temperature and noise emissions. 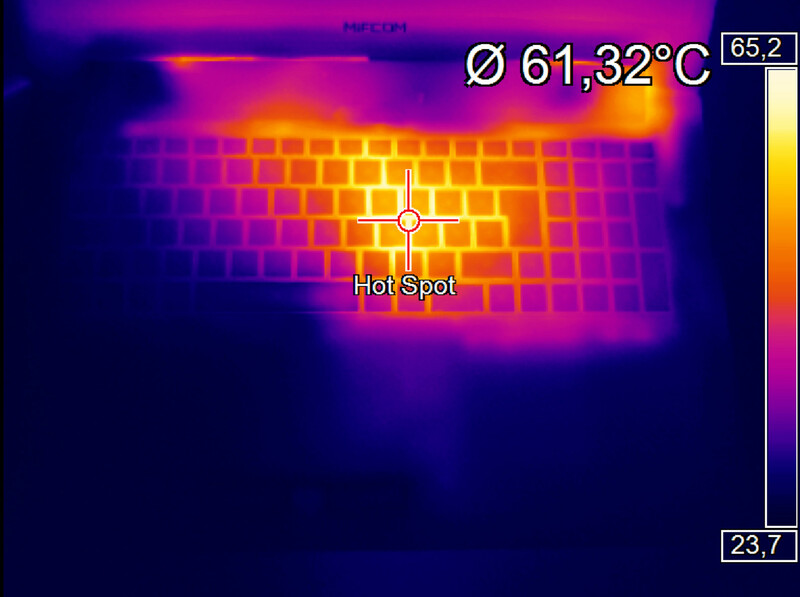 Other gaming notebooks grow warmer, and especially louder, under load. The new GeForce GTX 965M expands Nvidia's portfolio with an excellent high-end chip that substantially surpasses the GTX 960M, but otherwise does not threaten the current top models. 2 GB of GDDR5 VRAM prove to bottleneck the performance in some games. Even so, casual gamers will certainly be satisfied with this device. The MIFcom EG7 is a well-designed and balanced package.